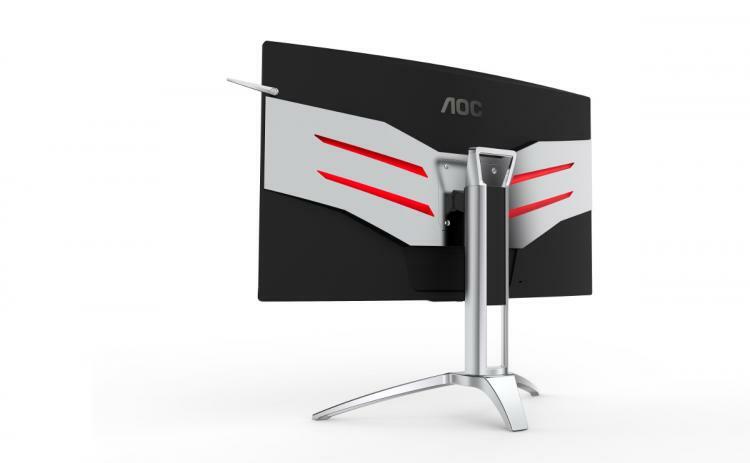 Amsterdam, 20 February 2017 – Display specialist AOC expands its AGON premium gaming monitor series with two new curved models: the 31.5" AG322QCX with QHD resolution and the 27" Full HD display AG272FCX. Both come with an extremely small curvature radius of 1800 for an added level of immersion. 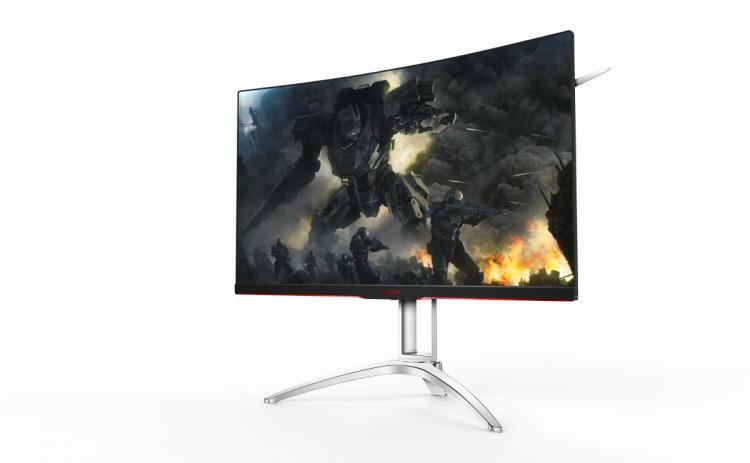 Thanks to almost invisible bezels on the top and sides of the monitors, the “3-sides frameless” design lets players focus on the gaming action even more.. A refresh rate of 144 Hz and AMD FreeSync technology provide a super-smooth gaming experience with no stuttering, tearing or motion blur. 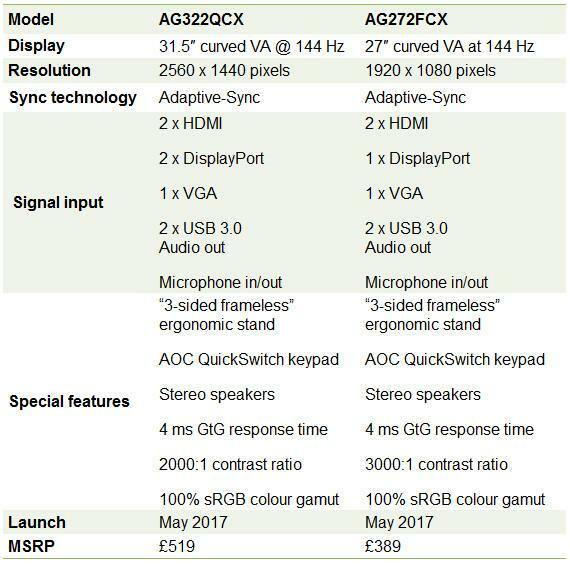 In addition, the two models also boast all of the premium features of other curved displays from the AGON line,, including a variety of gaming modes and settings (adjustable with the included QuickSwitch keypad), a headset holder, a handle, ergonomic adjustment options and customisable LED lights. 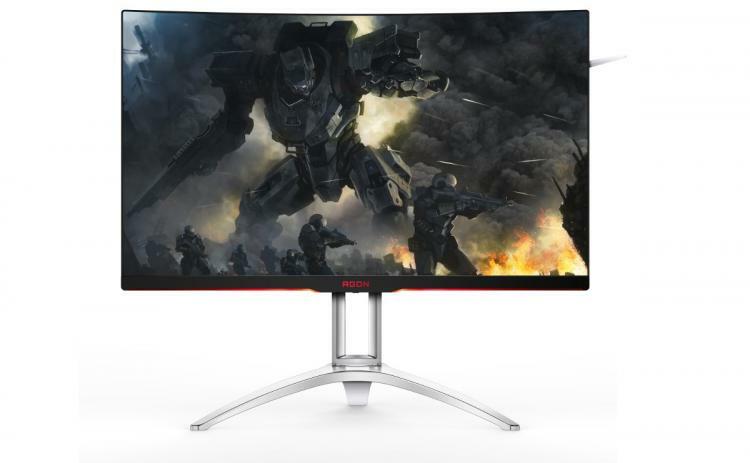 The two new 16:9 models expand the AOC AGON curved monitor lineup with two new sizes: The AOC AGON AG322QCX boasts a 31.5" (80 cm) VA panel with a QHD resolution of 2560 x 1440 pixels for razor sharp game graphics. The AG272FCX, on the other hand, uses a more compact 27" (68.6 cm) VA display with a Full HD resolution of 1920 x 1080 pixels. With a radius of just 1800 mm, the two monitors offer the strongest curvature of any AGON model yet. This allows for a highly immersive gaming experience with increased perception of depth and reduced picture distortion. In order to let players focus on the action even more, the ultra-slim bezels on the top, left and right sides are almost invisible.